Tomato, buffalo mozzarella and basil form a trio that will transport you straight to sunny Capri. Serve this soup at room temperature with some chargrilled ciabatta. Cut the garlic in half widthways and place in a large roasting tray with the tomatoes. Drizzle with 1 tablespoon of oil and roast in the oven for 25 minutes, or until the tomatoes have burst. Take out the tray and leave to cool slightly. Squeeze the roasted garlic from its skin and put into a blender with the roasted tomatoes, sun-dried tomatoes (drained first), sugar, basil, vinegar and 3 tablespoons of oil. Blitz until smooth, then transfer to a jug and set aside to come up to room temperature. Heat a griddle pan and chargrill the sourdough on both sides. 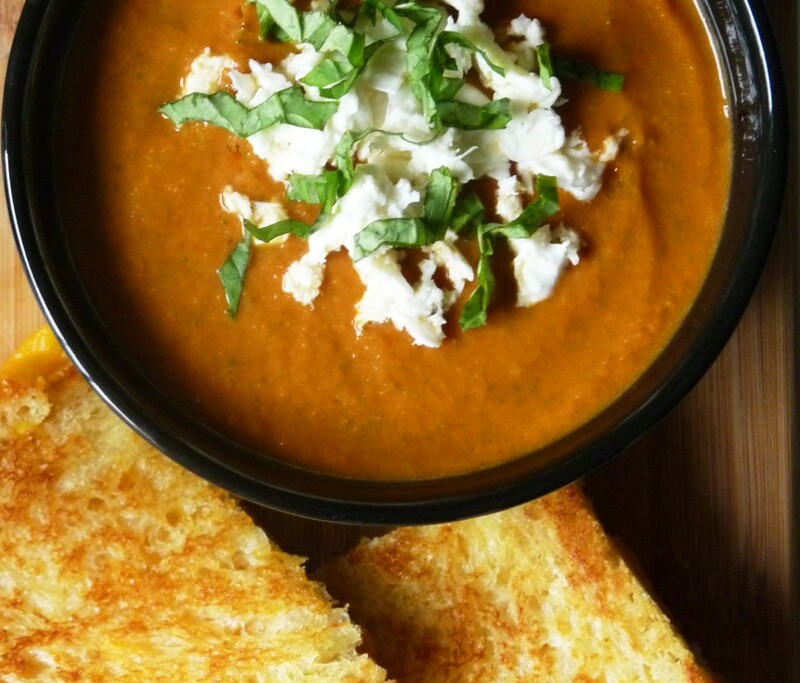 Serve the soup at room temperature in shallow bowls, with half a torn mozzarella ball in the centre of each, topped with basil leaves, cracked black pepper and a drizzle of oil, with the bread on the side for dunking.